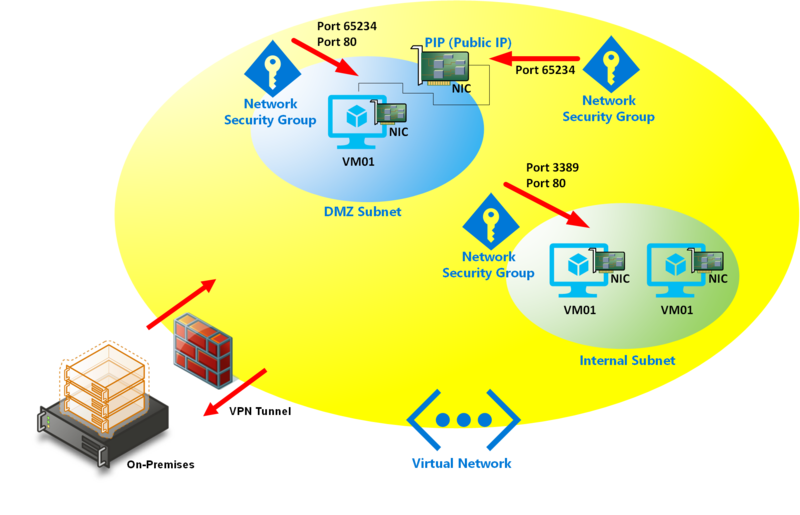 This post focuses on creating a two virtual machines into the Internal subnet of the target example architecture diagram below. These VMs will utilise inbound NAT rules from the load balancer. Remember, that the subnet based NSG rule/s will also be applied as the NICs of both machines will live on the Internal subnet which has an NSG attached to it. The PowerShell below, just simply edit / check the variables to suit before running it.